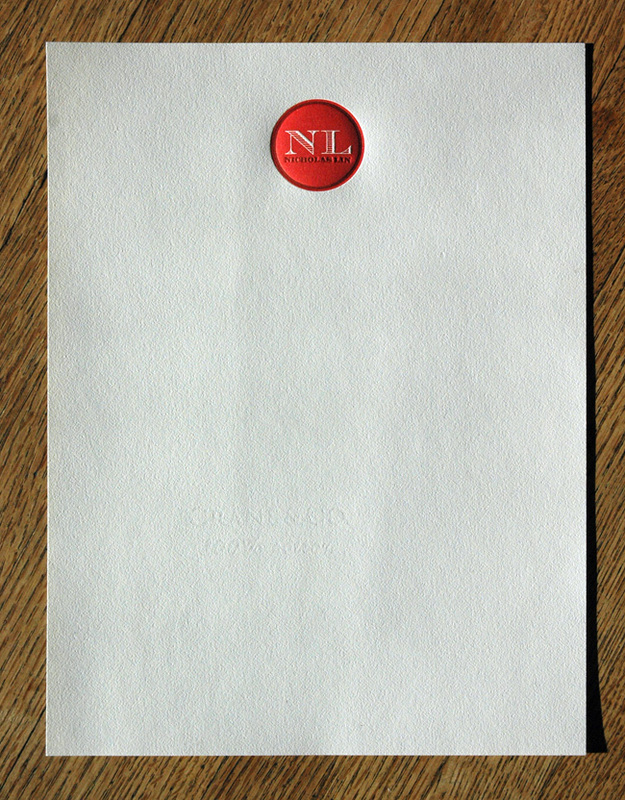 I designed and printed stationery for Nick. He wanted to keep the logo simple, bold and elegant. 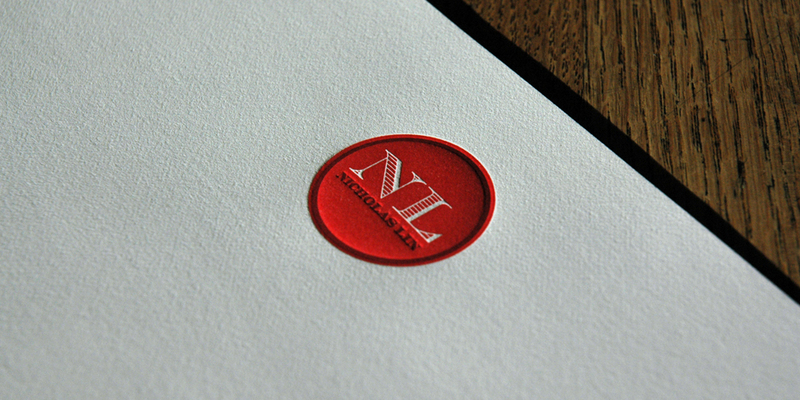 We chose two different tones of red ink while using the off-white paper for his initials to pop. The trickiest part of this job was making sure that the two circles aligned perfectly and that his full name stayed centered under the initials.